Founded in 1976, by J. Barry Snyder, a graduate of the United States Merchant Marine Academy in Kings Point, New York. The company was based in Houston, Texas. 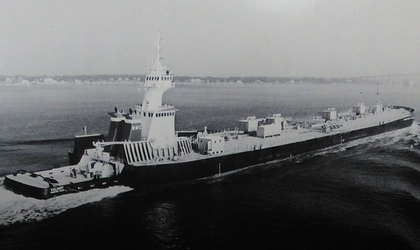 The Bulkfleet Marine Corporation designed, constructed, and operated the first 30,000 deadweight ton, heavy fuel oil, 8,000 horsepower tug and barge units. The Bulkfleet Marine Corporation expanded the company's operations into the Signet Group of Shipping. Which was an intermodal, and harbor docking company engaged in bulk petroleum distribution, inland towing, rig and energy support, as well as ship management. In 1984, the company was consolidated into the Signet Maritime Corporation of Houston, Texas. Which provided for the expansion into ocean towing, and intermodal services.